I started off programming with Notepad, and after testing several different peices of software over some years I’d finally settled on TextPad as my main editor of choice. Eclipse was the first true IDE (Integrated Development Environment) I used in a real world setting. 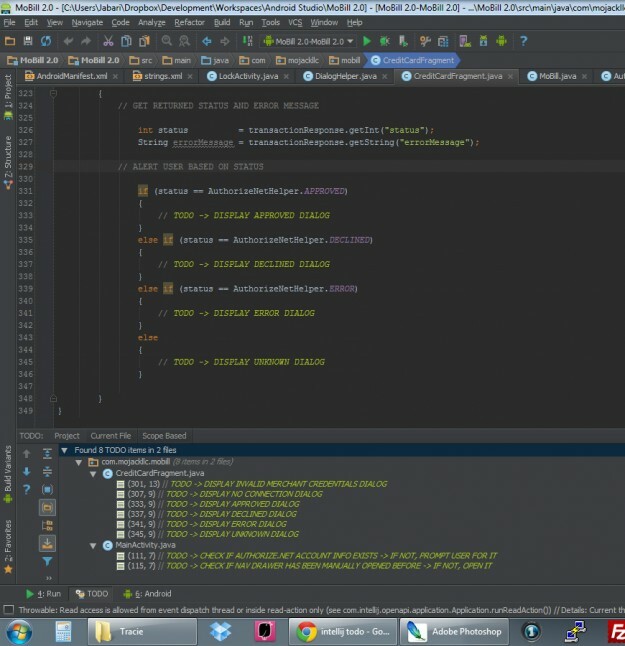 While the underlying idea of an IDE really excited me, I absolutely hated using Eclipse! It was going into it’s 3rd version and there still wasn’t great support for PHP (my core programming language then). Add in unstable performance and complex configurations on Windows machines and I was completely turned off. I allowed the sour taste it left prevent me from giving IDEs a real chance (especially ones based on Eclipse). It wasn’t until 4 years later when Zend Studio popped up that I decided to seriously look into IDEs again. The performance was still laggy IMO, but there was finally good support for PHP built in. Since then I’ve used Eclipse extensively for both web and mobile programming. Google recently began moving away from Eclipse for Android development, opting for IntelliJ instead. The very moment they announced it I RAN to my laptop to try it out. That wasn’t because I’m a big fan of it (to be honest, I’d never used it before). I was just excited at the prospect of a viable alternative to Eclipse. After getting over a couple of hiccups I had installing IntelliJ, I migrated an app I’ve been rebuilding called MoBill. I’ve been a coding fool every day since!!! The performance has been outstanding compared to eclipse. There are plenty of details regarding that floating around the web, so I won’t go into it here. However, something that really grabbed my attention in the overall layout. Every window I need to access fast is either open right in front of me or has a little tab around the edges of the screen for easy opening. // TODO: Make sure to remove your listeners right here! When I clicked the TODO button, IntelliJ opened a window displaying all of my TODO notes…automatically organized within the files they belonged to. This is a little thing that just about all IDEs do (although, you may need to change some settings in order to have the same easy access). Now if you’ve read this far you’re probably wondering what in the hell the purpose of this post is?!?!? Well…it’s actually a TODO for myself. A moral reminder of sorts. I’m generally a happy go lucky guy, and I don’t usually let negativity tarnish my view of something for too long. However, my sour grapes attitude towards Eclipse kept me from utilizing some extremely useful features of the software for years. Luckily for me, in the grand scheme of things, this was a tiny thing. It was a BIG reminder, though, to not allow negativity to prevent me from fully enjoying the people and things I surround myself with, even if…no…especially if the source of that negativity is myself! It also reminded me to not become to complacent with mediocrity! Anyway, I figured this is blog worthy since I’ll be forced to see this post from time to time! Who knows…maybe this will be exactly what someone else needs to see at exactly the right time as well.